Here is a simple informal protocol you can use with your mobile phone or tablet to assist communication with your next of kin during an emergency situation. If you are in an emergency situation and not conscious, first responders may access your mobile phone. If your phone is unlocked, they may check its address list for an “ICE” contact to get information about you and who they should contact. This simple idea was developed by a British paramedic, Bob Brotchie, who recognized the need for speed when emergency personnel are trying to locate next of kin during disaster situations. Create contacts that you want to be contacted during emergency – e.g. “- ICE Partner”, “- ICE Simon”. If you put “- ” as the first character of ICE contact names they will appear at the top of your address book. Put a sticker on the phone (or store a slip of card with it) that indicates your phone has ICE contacts. 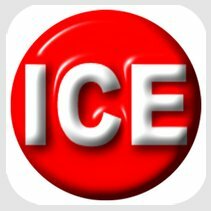 You could also add ICE information to the “Owner information” that can be displayed on your smart phone’s lock screen.